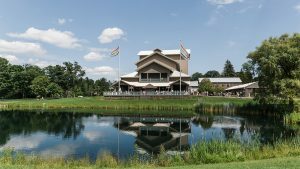 COOPERSTOWN, N.Y. (July 6, 2017) – The Glimmerglass Festival has released the details of its 2018 schedule. For a second year, the Festival’s programming will explore themes of home and country. 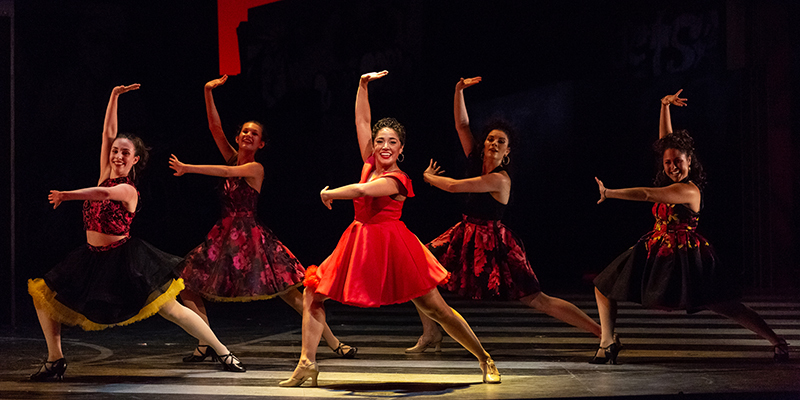 Marking the 100th anniversary of Leonard Bernstein’s birth, the 2018 Festival will open with West Side Story featuring the original Jerome Robbins choreography. The production will be complemented by performances of Bernstein’s one-act Trouble in Tahiti, a concert featuring his work, and a conversation with Leonard Bernstein’s daughter, writer and broadcaster Jamie Bernstein. Observing the centenary of the end of World War I, Kevin Puts and Mark Campbell’s Pulitzer Prize-winning Silent Night will take the stage, telling the story of the Christmas Truce of 1914 when Scottish, French and German soldiers came together in the holiday spirit during a legendary ceasefire. As a fitting addition, during the Festival bass-baritone Eric Owens will offer a tribute to veterans in a concert entitled Over There. There will be a new Italian-language production of Rossini’s The Barber of Seville in a family-friendly and comedic staging by Francesca Zambello with set design by John Conklin. A new, inventive production of Janacek’s The Cunning Little Vixen will be directed by E. Loren Meeker and will feature 2018 Artist in Residence and Artistic Advisor Eric Owens in the role of the Forester. Just as the Festival developed the acclaimed one-woman show Voigt Lessons with soprano Deborah Voigt, Glimmerglass will premiere internationally renowned baritone Thomas Hampson’s theatrical show, Song of America: Our Story, written with librettist Royce Vavrek, librettist for Pulitzer Prize-winning Angel’s Bone, and developed in collaboration with Francesca Zambello. Following its premiere August 19 at The Glimmerglass Festival, the theatrical performance exploring the American experience will travel to all 50 states. Singer/songwriter and author Rosanne Cash will draw from her rich and distinctive connection to the musical legacy of the South in an intimate evening of songs and stories on June 23. Featuring John Leventhal on guitar, Cash will offer songs from her trilogy of award-winning albums Black Cadillac, The List and The River & the Thread along with personal stories and reflections. Margaret Atwood, author of The Handmaid’s Tale, will make her debut Glimmerglass appearance offering a wide-ranging talk on August 17. The Handmaid’s Tale has inspired a film and an opera, and the hit television series of the same name will return for a second season in 2018. The 2018 Festival will also include the youth opera Odyssey, Ben Moore and Kelley Rourke’s take on Homer’s epic tale. 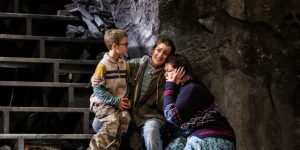 This opera will feature the Glimmerglass Festival Youth Chorus and members of the company’s Young Artists Program, the acclaimed apprenticeship for emerging performers. The season is completed with Stars’ Night Out, principal artists of the 2018 Festival presenting varied musical programs, as well as a series of events pairing stories and song. Speakers for these events include Tony Award-winning composer Jeanine Tesori, Glimmerglass Festival Music Director Joseph Colaneri, award-winning journalist James B. Stewart, Jamie Bernstein, and Kevin Puts and Mark Campbell, the team behind Silent Night. The 2018 Festival will run July 7 through August 25, 2018. Subscriptions may be renewed beginning July 15. New subscriptions go on sale September 26, and single tickets go on sale to the public January 29, 2018. For more information, visit www.glimmerglass.org. The Glimmerglass Festival will open its 2018 season with a production of Leonard Bernstein’s West Side Story. This hip, urban take on Shakespeare’s Romeo and Juliet will feature the original Jerome Robbins choreography. David Charles Abell, who made his Glimmerglass debut with a new production of Cole Porter’s Kiss Me, Kate, will return to conduct. Francesca Zambello will direct the musical, with associate direction by Eric Sean Fogel. Choreographer Julio Monge, whose Broadway credits include Fosse and Jerome Robbins’ Broadway among others, will bring the Tony Award-winning Jerome Robbins choreography to the stage. Peter J. Davison designs the scenery. Davison designed the recent Metropolitan Opera Cyrano de Bergerac production and this season’s Porgy and Bess at The Glimmerglass Festival. The costumes are designed by Jessica Jahn, who designed last summer’s The Crucible and this summer’s The Siege of Calais. Her work has been seen at Santa Fe Opera, Lyric Opera of Chicago, Washington National Opera and more. Lighting design will be by Mark McCullough, who designs Wagner’s Ring Cycle at San Francisco Opera next year. Performances will take place July 7 through August 24, 2018. Janácek’s The Cunning Little Vixen will make its Glimmerglass debut in a new production directed by E. Loren Meeker with a new English translation by Kelley Rourke. The production will be choreographed by Eric Sean Fogel. Fogel has choreographed more than 10 productions at Glimmerglass, including Candide and The Flying Dutchman. His work has also been seen at Washington National Opera, Los Angeles Opera, Chicago Opera Theatre, Opera National de Bordeaux and more. In this fresh look at Janácek’s woodland fable, a forester, sung by Eric Owens, stumbles upon a vixen cub and takes her home. Both have their assumptions about the world challenged. Joanna Latini will sing the role of The Vixen. Music Director Joseph Colaneri will lead the Glimmerglass Festival Orchestra. Ryan McGettigan will design scenery. McGettigan designed the Festival’s youth operas Odyssey, Wilde Tales, and this season’s Robin Hood. He serves as the resident scenic designer for Cape Rep Theatre, and has designed for several Houston theaters, including Stages Repertory Theatre, Main Street Theatre and Houston Grand Opera’s HGOco. Erik Teague, who designed Glimmerglass productions Ariadne in Naxos and The Flying Dutchman, will return to design costumes. Mark McCullough will design lighting. The production will run July 8 through August 25, 2018. 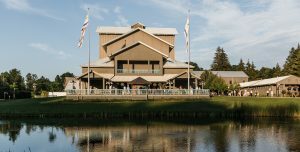 Rossini’s comic bel canto masterpiece The Barber of Seville will be presented in a production directed by Francesca Zambello and conducted by Glimmerglass Festival Music Director Joseph Colaneri. With its famed overture that inspired the cartoon “Rabbit of Seville” from Looney Tunes, the opera tells the story of Count Almaviva, a young nobleman who allies with Figaro, the titular barber, in order to woo Rosina. She is the mysterious ward of the elderly and foolish Dr. Bartolo who plans to marry her himself. Laughs and hilarity ensue as Figaro and the Count scheme against their adversaries. Former Glimmerglass Young Artist Joshua Hopkins will appear as Figaro. Hopkins recently performed the role of Count Almaviva in The Marriage of Figaro at Washington National Opera and Papageno in The Magic Flute at Canadian Opera Company. Emily D’Angelo will sing the role of Rosina. D’Angelo was a Grand Finalist in the 2016 Metropolitan Opera National Council Auditions. Former Young Artist David Walton will return to sing the role of Count Almaviva, and Dale Travis will sing Dr. Bartolo. Both appeared in last year’s Festival productions of La bohème and The Thieving Magpie. John Conklin, Glimmerglass Festival Associate Artistic Director Emeritus, who has designed more than 30 Glimmerglass productions, returns to design the scenery. 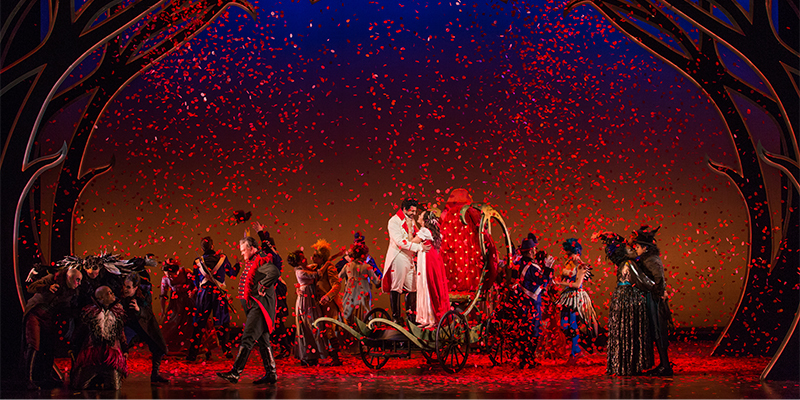 Conklin’s designs have been seen in opera houses and theaters around the world. Lynly Saunders will join the team as costume designer in her company debut. Robert Wierzel will return to design lighting. Wierzel has designed more than 45 productions for The Glimmerglass Festival, and his designs have been seen on Broadway and at major opera houses, recently including Paris Opera and Lyric Opera of Chicago. The Barber of Seville will be sung in Italian and will run July 14 through August 25. The 2018 Festival will include the Pulitzer Prize-winning opera by composer Kevin Puts and librettist Mark Campbell, Silent Night. The opera is based on the 2005 Oscar-nominated film Joyeux Noël, directed by Christian Carion. The opera and film retell the events from the front lines of World War I in 1914. On Christmas Day, Scottish, French and German soldiers put their weapons down and emerged from the trenches to share cigarettes and brandy and exchange gifts. Tomer Zvulun, the General and Artistic Director of Atlanta Opera, will make his Glimmerglass debut as director. Nicole Paiement, who conducted the 2016 production of The Crucible and leads the 2017 production of Xerxes, will conduct. Scenery has been designed by Erhard Rom, who designed the 2011 Glimmerglass production of A Blizzard On Marblehead Neck. Vita Tzykun has designed the costumes. Robert Wierzel will return to design the lighting. This co-production with the Wexford Festival Opera and Atlanta Opera was initially directed by Zvulun at the Wexford Festival Opera to critical acclaim. The production will run July 15 through August 23, 2018. The company opens its 2017 season July 7. The 2017 Festival features productions of the Gershwins’ Porgy and Bess, Rodgers and Hammerstein’s Oklahoma!, Donizetti’s The Siege of Calais, Handel’s Xerxes, the one-act comic opera Scalia/Ginsburg, the world-premiere youth opera Robin Hood, the world-premiere of the hip-hopera Stomping Grounds, and more. Is Justice Ginsburg going to be at the Glimmerglass Opera House this summer 2018? If so, when?